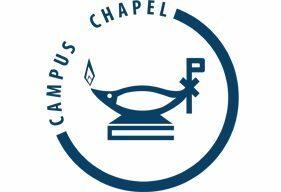 Matt Ackerman is the Campus Chapel Pastor. He’s a graduate of Calvin College and Princeton Theological Seminary and has been involved in campus ministry in some capacity for most of his life. His hometown is Seattle, Washington, though he spent many of his formative years in State College, Pennsylvania. He’s married to Marianne, a special education teacher originally from Cleveland, Ohio, and they’re parents to a rambunctious toddler. Pastor Matt is always up for a cup of coffee, so feel free to send him an email at mattack@umich.edu or just stop by. Bailey Sarver serves as Pastoral Associate at the Campus Chapel. She was born and raised in the wide-open spaces of the Hawkeye state (Iowa) and is a graduate of Dordt College and Calvin Theological Seminary. Bailey has been working alongside college students in some capacity since 2010. In her spare time Bailey enjoys reading, floral design, and watching more Netflix than she cares to admit… she is also on the quest for a new hobby. She, too, loves a good conversation over a hot beverage, and you can reach her at bbs073@calvinseminary.edu.